Should Landlord Evict Recently Unemployed Tenant? 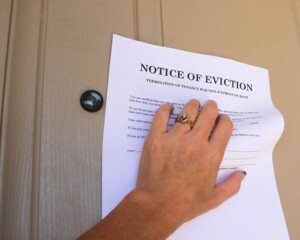 There is no doubt that the eviction process takes a toll on landlords. Those facing the prospect of evicting a tenant often are advised to act as soon as possible to get the wheels rolling so that the property can be recovered quickly, and profitability restored. The issue here, though, is whether a landlord in this situation has grounds to evict the tenant. While we know this tenant was recently laid off, we do not know that he or she is unable to continue to pay the rent. The allowable reasons for pursuing an eviction are limited and specific. While these rules vary from state to state, universally they include a tenant’s failure to pay rent, breaching some provision of the rental agreement, or breaking the law, for instance, placing others in danger. It is unlikely any eviction court would sustain a “preemptive” eviction on the landlord’s assumption that a recently-unemployed tenant will not be able to continue to pay the rent for the remaining term of the lease. That reason would have to be present at the time the eviction is filed, not by the time the landlord gets into court. In this case, it is unclear whether the tenant has sufficient savings, unemployment benefits, credit, or a charitable relative that will keep the rent flowing while they seek a new job. While being unemployed may be a good reason to reject this individual as a rental applicant, this condition may not be a breach of the lease agreement, so long as the tenant finds a way to continue to pay the rent. The situation would be different if the tenant is notifying the landlord that they anticipate defaulting on the rent. In that case, though, an eviction may not be necessary, nor the most cost-effective approach. A better resolution may be to negotiate an early termination. That will leave the tenant’s credit intact, and allow the landlord to recover the property much faster. Another possible twist: this tenant is on a month-to-month lease. It may be possible to terminate that lease with proper notice to the tenant. But the landlord will have to evaluate whether they are turning away a quality tenant who has the resources to continue on, or who may find another job any day. I would have to sit down with the tenant and let them know I can work with them if they have some means of paying rent but they can not live for free. Point them to all resources ect. They have no choice but to understand they can not live for free. Most reasonable could understand that. When I lost my job and my landlord refused to wait for my rent, I went to court where a judge simply gave a payment by date. It was a little higher than what I would have paid because of court costs. As soon as my unemployment kicked in, I paid the charges and I was back in business. Unfortunately for my landlord, their lack of flexibility caused me to leave. I was paying on time every month until the layoffs. Flexibility goes a long way both in retaining renters and maintaining a good reputation. Social media is ripping that community apart because of their tactics. You should try to work with people in these times. No one wants to live for free especially if they are paying higher monthly costs than any other community. In other words, wealthier renters. I actually had this happen to one of my renters just a few years back. and so did he. But the one thing I didn’t want to happen was to lose a good tenant that had paid me on time for the last 3 years. I can tell you those 4 months were rough, but in the end he appreciated me and told me so. I can tell you, he is still living there going on 5 years now and even reminder me the lease is up. Sit down and show them you are willing to meet them half way and expect the same in return. Put it in writing with each weeks amount owed. Both of you sign this agreement and notarize it. In the long run…you both win. A few times I have had tenants lose their job, but had been dependable on rent, taken good care of apartment. I discussed with them, worked out a plan, and they got through it, rent was completely caught up, and ultimately they remained long term tenants. However, I have a current tenant, only a few months there, very kind and sincere person, with young daughter there a few days each week, but continuously behind on rent since move-in, has caused damage (inadvertently), may be letting friends stay there (not allowed per lease), has let friend’s dog in apartment (also not allowed per lease). And has just lost job. I hate to put a nice person in difficulty, feel sorry for his situation — but he isn’t paying, and is in violation of lease terms. In the past I have given him resources to help him when he was struggling with rent. I’m not a charity, and depend on the rent for my own income. I see no other resource but * serve him notice to comply or vacate (just became aware of violations in past week), and then * if he doesn’t make next month’s rent (due in another rent), immediately serve a pay or vacate notice.